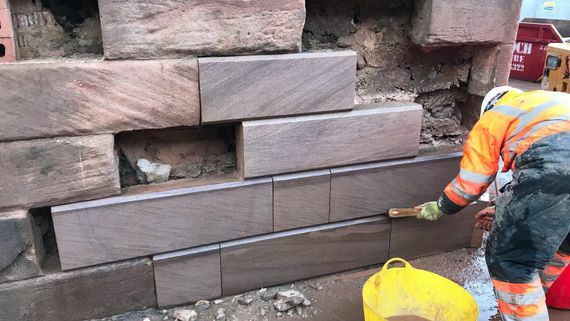 Based in Glasgow, the team at ABS Masonry & Building Services Ltd offers a skilled and high-quality stonemasonry service to customers throughout the local area, including excellent stonework and limestone repairs. This may be on traditional or historic buildings that may just be in need of a fresh look, and we work hard to ensure that we maintain the existing stonework. With the best equipment and products used at all times, we’re able to provide comprehensive repairs for defected or eroded stone, so call us now. Emergency call outs for repairs are also available. These are ideal for buildings with storm damage, and we always aim to get out to our customers as quickly as possible. This ensures that the stone is safe and secure. For further information on our stonework and limestone repairs, call us, in Glasgow.